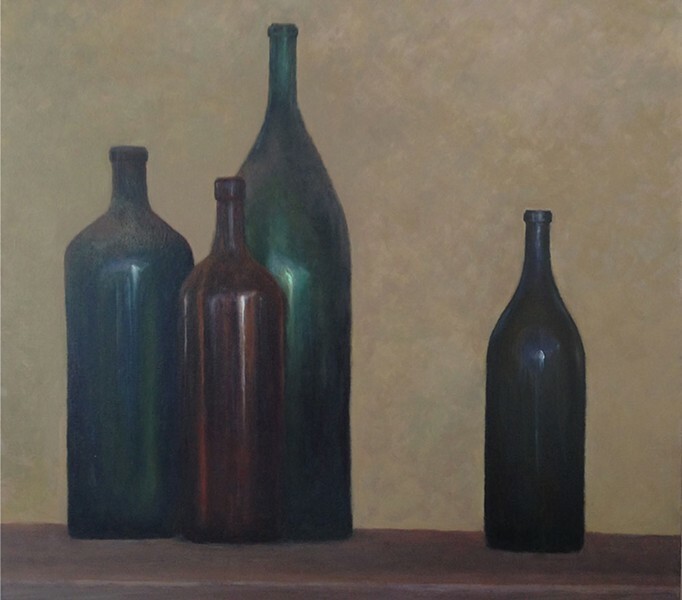 Friday, July 4, 6-9 p.m.
"Dusty Magnums" by Angela Hansen hangs, fittingly, at Bergeron Winery. OCEAN GROVE 480 Patricks Point Drive. Afterparty at 9 p.m. with DJ Slum Lotus. $5 admission. SAUNDER'S PARK (start of Patricks Point Drive). Fire Dancing by Circus of the Elements at 8:45 p.m.
TRINIDAD MUSEUM 400 Janis Court at Patricks Point Drive. "The Trinidad Lighthouse 1871-present." Music by Val Leone, jazz standards. TRINIDAD TRADING COMPANY 460 Main St. Jeff Stanley, acrylic paintings. Music by Aaron Kimball. WINDANSEA 410 Main St. Artwork by Ali Graham. SAUNDER'S PLAZA EAST. Music by Dogbone, jazz. Help make hand-cranked ice cream, then taste it! 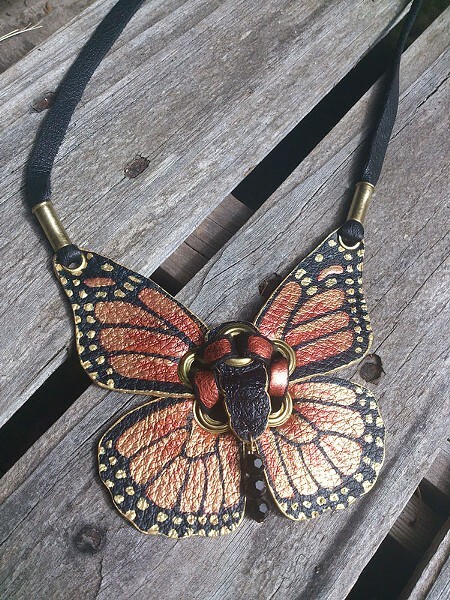 THE LIGHTHOUSE GRILL 355 Main St. Chuck Vanderpool, photography; Pachamama Jewels, hand-crafted jewelry. Free appetizers. BERGERON WINERY 359 Main St. Angela Hansen, oil paintings. STRAWBERRY ROCK GALLERY 343 Main St. Work by various Pacific Northwest artists. TRINIDAD TOWN HALL 409 Trinity St. Information table for Westhaven Center for the Arts. Art demonstration by Antoinette "Toni" Magyar. TRINIDAD ART GALLERY 490 Trinity St. Music by JD Jeffries and Moonstone Performance Outreach. TRINIDAD EATERY 607 Parker Road. Art by Gus Clark. Music from Moonstone Performance Outreach, featuring: Sajha Eaton, vocals at 6 p.m.; JD Jeffries Trio with Michael Stewart and Richard Mackenzie, blues and folk at 6:30 p.m.; Mark Noyes at 7 p.m.; For Folks Sake! at 7:15 p.m.; Elayne, vocals at 8 p.m.; Aaron Kimble, acoustic at 8:15 p.m.
MOONSTONE CROSSING 529 Trinity St. Taylor Perris, charcoal drawings and acrylic paintings. Music by Otto Knowbetter, jazz. SEASCAPE RESTAURANT AND PIER 1 Bay St. Jim Welsh, oil paintings.